THE CHOICE MAKES THE DIFFERENCE. Every Taubmans Certified painter has agreed and personally signed the Taubmans ‘Rules of Engagement’ document for certification. This document is their professional guarantee that they comply to all safety regulations and hold a minimum of $5 million public liability insurance. As part of this agreement, painters are also required to maintain a Public Liability Insurance Certificate of Currency, Trade Painter Licence, Home Owner Warranty Insurance and Workers Compensation Insurance (if applicable). For a customer, it’s about working with a professional they can trust to return their calls, communicate effectively and produce high-quality work. What’s more, a Taubmans Certified painter is courteous and respectful of time, and aims to complete projects within the agreed project period. 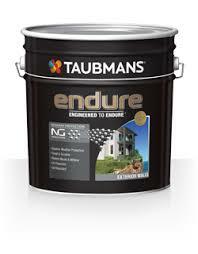 Quality is everything to a Taubmans Certified painter. Not only will they use quality Taubmans paint, they also follow the highest quality assurance practices, which is a combination a customer can trust to add investment to their premises. Every Taubmans’ Certified painter takes great pride in their workmanship, as their reputation means everything to them. Our Taubmans’ Certified business listings page has an overview of their business credentials and customer reviews of their completed jobs. From the job site to the environment at large, a Taubmans Certified painter is committed to the environmentally friendly practices. Taubmans Endure Interior and Taubmans EasyCoat Walls have both been approved by the National Asthma Council Australia’s Sensitive Choice Program. Products approved by the Sensitive Choice Program may help people with asthma and allergies.